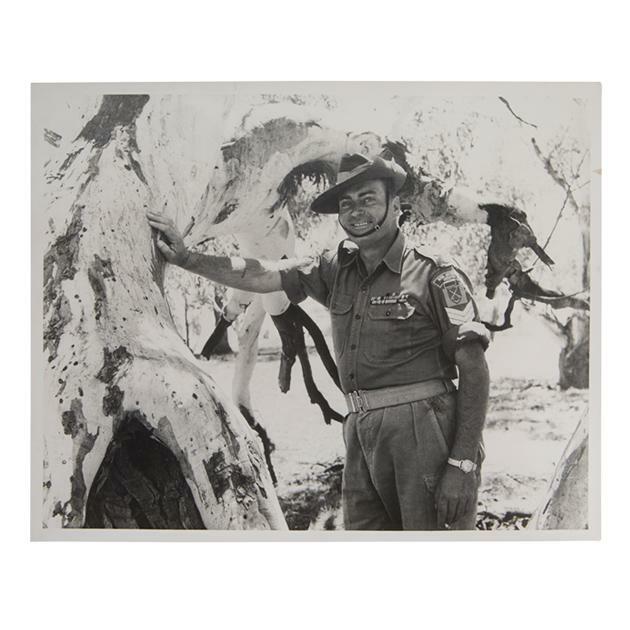 This photograph of Sergeant Alexander Lavell was taken in Australia around 1960. He is wearing the uniform of a sergeant in the 1st Australian Infantry Brigade and on his sleeve you can see the three white chevrons of his rank as a sergeant.Above his sergeant's rank is the formation sign of the 1st Infantry Brigade, the rectangular blue ribbon of the US Presidential Unit Citation that he earned in recognition of his service at the battle of Kapyong, Korea April 1951, and the title of his corps, Royal Australian Infantry. Above his pocket are the campaign ribbons for his service from the Second World War to the Emergency in Malaya. Alexander Lavell was an Aboriginal man from Victoria who went on to serve in South Vietnam in 1966-67 and retired from the Australian Army with the rank of Staff Sergeant. He regularly attended ANZAC Day marches in Sydney.